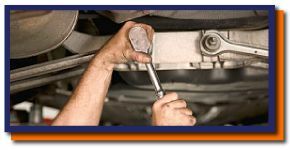 Auto Repair Victoria | About Us | Derick's Automotive Services Ltd. Helping Victoria drivers stay on the road with precision auto repairs and maintenance has been a family tradition at Derick’s Automotive Services Ltd. since our founding on April 1, 1960. We take pride in our ability to repair all makes and models of vehicles, including diesel engines. In fact, our certified, experienced technicians can handle your heavy-duty trucks, tractor trailers and RVs. We understand that your vehicle is critical to your daily life and we do what it takes to handle your job in a fast and cost-effective manner. Derick’s Automotive Services goes beyond repairs and maintenance as we are a government authorized inspection centre and approved drop-off facility for used oil and filters. We care about our customers and the environment. Stop by today and let us know what we can do for you.